CTIA, a wireless industry trade association, had brought on Theodore Olson of Gibson, Dunn & Crutcher to bring a First Amendment challenge to the local cellphone radiation right to know law. Olson’s heavyweight reputation as U.S. solicitor general in George W. Bush’s administration didn’t go very far with Olson representing the wireless industry’s loss of common sense by enjoining Harvard law professor Lawrence Lessig representing the city’s right to ensure the public is informed about cell phone radiation exposure. 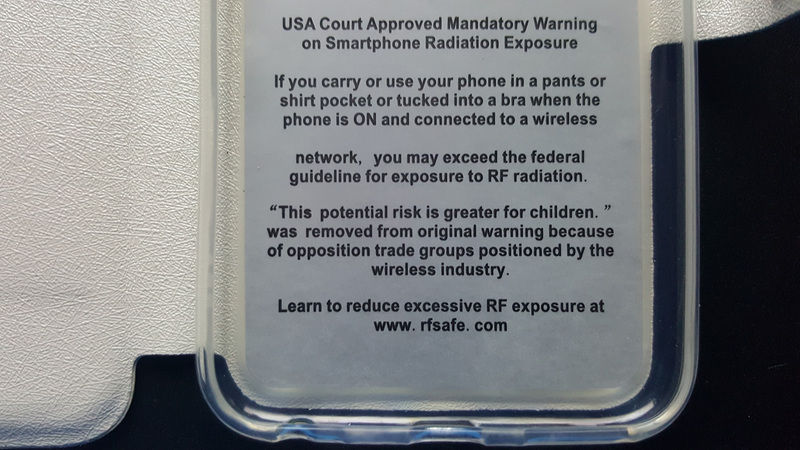 The Ninth Circuit on Friday 4-21-2017 declined to halt enforcement of a Berkeley, California, ordinance that requires cellphone retailers to warn consumers about radiation risks, saying the law withstands First Amendment scrutiny since it’s related to a substantial government interest of protecting consumers’ health and safety. The CTIA claims that Berkeley’s “right to know” ordinance to warn consumers about cell phone radiation exposure in retail stores violates free speech. 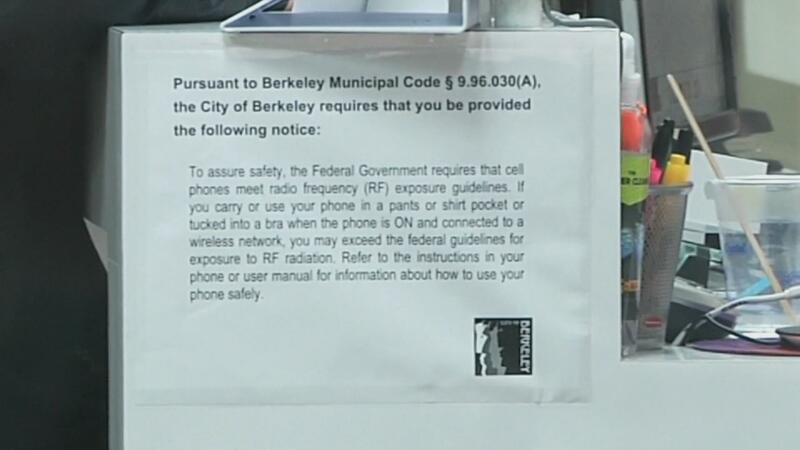 Berkeley’s unanimous decision that the required cell phone radiation warnings are guidelines directly from the cell-phone manuals, which simply reminds consumers that many phone require operation of a cell phone no closer than 5mm to body or the phone may exceed federal guidelines for exposure to radio-frequency radiation. Your Right to Know: The iPhone 7’s instructions say, “Carry iPhone at least 5 mm away from your body to ensure exposure levels remain at or below the as-tested levels.” The iPhone 5 instructions suggest at least 10 mm. While the Samsung Galaxy S8 has a much lower SAR level than an iPhone 7, it also requires a 15 mm distance for body worn usage to attain such a low SAR rating. That is 10 mm more distance than the iPhone 7 — which causes a great deal of confusion over how safe one phone is over the other. The city council voted unanimously to pass the ordinance in May 2015. This is not the first time CTIA has sued a Bay Area city seeking to force more disclosures about RF energy exposure from Smartphones. In 2010, the organization sued the city and county of San Francisco to block a similar ordinance. CTIA prevailed in that matter in September 2012.